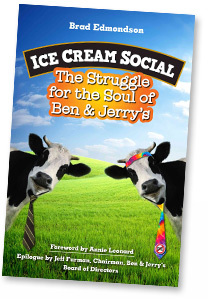 Q: How important was product quality to the success of Ben & Jerry’s, compared to the social mission? Product quality is critically important to Ben & Jerry’s. When the company asks customers what they love most about its ice cream, they always mention the taste, the chunks and the swirls. But making top-quality ice cream is not more important to the company than social activism. They are two parts of a three-part mission, and all three parts are supposed to get equal weight. How the company struggled over 35 years to maintain that balance is what the book is about. The third part of the mission is maintaining the company’s financial health. This is the difference. In most American corporations with annual sales of more than $500 million, maximizing profit for shareholders is far more important than any other goal. 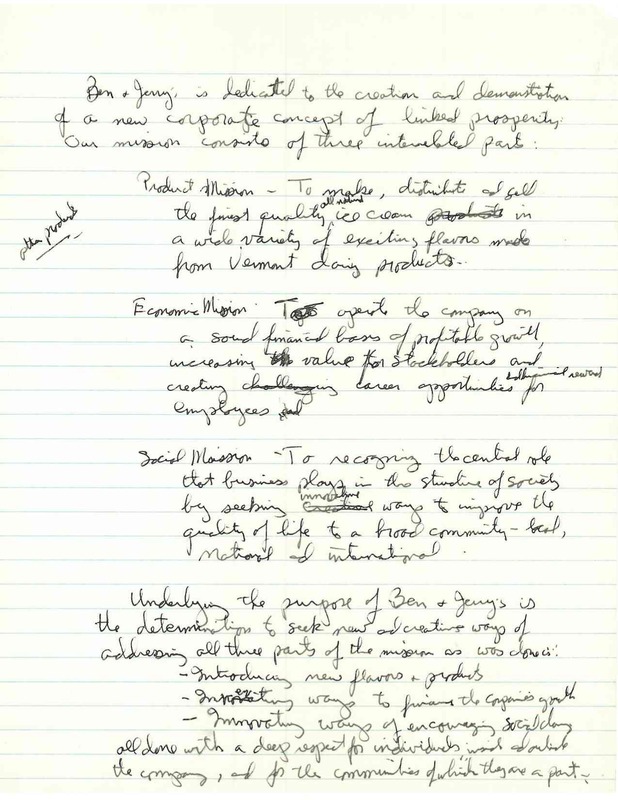 The illustration above is Henry Morgan’s original draft of the three-part mission statement from May 1988. The company still uses this statement to define itself today. This excerpt from the book tells the story of the mission statement.